The What's Next series is part of an ongoing look from the Pens Initiative staff taking a look at the Penguins UFAs, RFAs, and most polarizing personalities heading into the next season. We look at the year that was and the year coming and wonder: What's Next. It was supposed to be a storybook ending. One of the most respected and beloved players in the game, winding down his Hall of Fame caliber career, is stuck on a team going nowhere when the powers in charge trade him to the team judged to be best positioned to win the Stanley Cup. The former captain, who had only worn the one sweater over his illustrious NHL career, had to get used to new colors, new teammates, and a new city in a new conference. With two of the best centers in the game as teammates, he was able to go from being the man on his old team to just one of the guys. When the team raced through the first two rounds and into the conference finals, it looked like the stars would finally align, and the long wait would be over: he'd be able to skate around the ice, with the Cup held high over his head. As a champion. 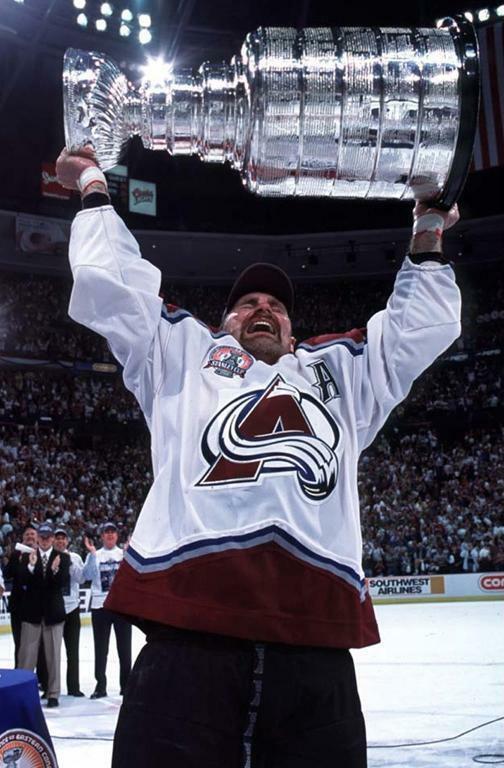 It didn't go exactly as planned for Ray Bourque in his first season as a member of the Colorado Avalanche, but the next year, his 21st in the league, he was able to finally break through and retire from the game as a Stanley Cup winner. Since his name was first mentioned as a trade target, Jarome Iginla has drawn comparisons to what Ray Bourque went through, and those comparisons picked up steam after he was dealt to the Penguins. It's impossible to look at what's next for Jarome Iginla without looking at what has been, and how the path he has taken until this point has shaped the direction he will go in the future. Like Bourque, he left the only NHL team he had ever known in search of the one trophy he had never won. It's too early to say how things will play out for Jarome Iginla. Afterall, if we had paused Bourque's story after the 2000 WCF defeat, we'd have seen a familiar face in an unfamiliar jersey, a hired gun who jumped ship at the last chance just to fall short. Iginla still has several seasons left to play, Stanley Cups to compete for, and chances left to write a happy ending for his incredible career. Before that happens, Iginla needs to make a decision on his immediate future. He needs to decide how important winning a Stanley Cup is, which means he needs to decide how much money he's willing to leave on the table to play for a contender. He also needs to decide if staying in Pittsburgh is the right choice to make for getting there. I believe that Jarome Iginla wants nothing more at this point in his career than to be able to call himself a Stanley Cup Champion. While I believe there's a chance he continues on in Black and Vegas Gold, I do believe what's next for Jarome Iginla if far from clear, in more ways than where he'll end up next year. First and foremost, Iginla needs to make a decision on Pittsburgh. He's said all the right things, expressing a desire to return and never once badmouthing the situation he found himself in, but as a consummate professional that's to be expected. Jarome Iginla green-lighted the trade to the Penguins under the impression he'd be playing with Sidney Crosby, and while it's possible that might have been what happened if not for an errant slapshot 90 seconds into his first game, he found himself playing out of position with little chemistry on Malkin's wing instead. Of the four top 6 wingers, only Iginla had no experience on LW. Kunitz and Dupuis had both played there while in Pittsburgh, while Neal was exclusively a LW during his Dallas days. For Iginla to want to re-sign with the Penguins, his chance to win the Stanley Cup has to trump the possibility of having to learn a new position after 16 years in the league, and it has to come with the understanding that playing on Crosby's team, but not Crosby's line, is a very real possibility. Despite moving to a new city and playing a new position with less powerplay time, Jarome Iginla was still able to have some success on the scoresheet, scoring 5 goals with 6 assists in his 13 regular season games to go with 4 goals and 8 assists in 15 playoff games. He had been productive in Calgary too, with 67 and 86 points (along with 32 and 43 goals) the past two years. The problems he encountered while in Pittsburgh are correctable, and Ray Shero is a big fan of what he brings to the table. That being said, Ray Shero needs to sit down and discuss with Dan Bylsma what Iginla's role would be for next season, if that hasn't happened already. While Shero would never tell a coach how to use a player, if Bylsma is going to misuse Iginla to the point where he's demoted to the 3rd line again because he can't figure out how to structure his top 6, then this is a deal Ray Shero needs to be smart enough to walk away from. Even if both sides decide to make a deal, the salary cap still plays a large role in determining whether or not that is possible. The Penguins currently have $7.9 million in cap space for next season, a number which jumps to $8.5 million if Steve MacIntyre is sent to Wilkes-Barre/Scranton as expected. This would leave 6 more rosters spots to fill with presumably 5 forwards and 1 defenseman. Given that both Dustin Jeffrey and Robert Bortuzzo are RFA with very manageable cap hits, I'd expect to see them both in Pittsburgh next year, which would leave $7.3 million left for 4 forwards. At this point it doesn't appear that there will be room for Iginla, but a potential Kris Letang trade could change that, and if the Letang trade brings back a young goalie, say John Gibson of Anaheim, then Shero would have the goalie position set for the future and would be able to use a buyout on Fleury's contract, opening up an additional $5 million in cap space. 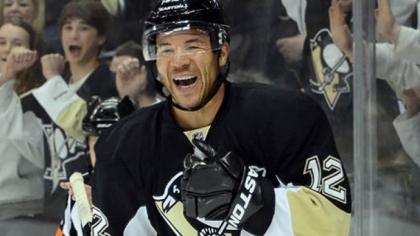 There's a great deal of uncertainty surrounding what comes next for Jarome Iginla. With the decrease in the cap scheduled for next season, some tough decisions need to be made before Shero can address Iginla. Kris Letang is currently the top priority, and whether he stays or goes will play a large part in whether contract talks with Iginla can continue or not. If Jarome Iginla has played his last game as a Penguin, it was a surreal pleasure getting to watch one of the all-time greats play in Pittsburgh, even if only for a handful of games. Regardless of where he plays next year, it will be next to impossible not to root for one of the classiest and most respected players to have ever played the game, and to hope he can get that Ray Bourque moment before his career finally comes to a close. If anyone deserves it, it's Jarome Arthur-Leigh Adekunle Tig Junior Elvis Iginla.